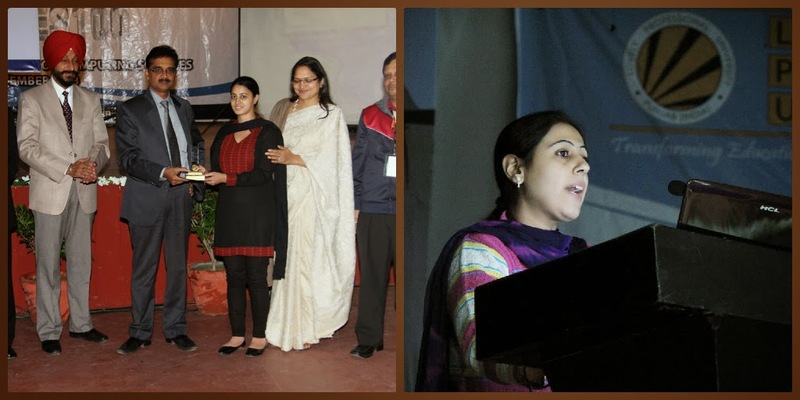 Jalandhar: The closing ceremony of two-day International Conference on Computing Sciences 2013- ‘WILKES 100’ at LPU witnessed launching of prestigious INNS-LPU Chapter by International Neural Network Society (INNS). INNS Global President Dr Danil Prokhorov, mentioned in his message that INNS actively collaborates with professional organizations and INNS is happy to develop networking in India. LPU Chancellor Mr Ashok Mittal assured: “LPU in association with INNS hopes to bridge gap between natural and artificial intelligence.” Dr Suash Deb, President of INNS -India Regional Chapter, thanked all the scientists and academicians in making the conference a grand success. Prior to this, during 8 sessions on the valedictory day of the conference, near 70 research papers were presented. The ‘GRAPE ‘Project undertaken by the Ph D scholars of LPU Parvesh Mor, Eshan Kapur and Avinish Kumar was greatly applauded. Dr Krishna Swamy (ex-Vice President, TCS) appreciated the work taken up by LPU researchers. Dr Pipat Reungsang (Khon Kaen University, Thailand) presented his research work on Geo-informatics, and showed his keen interest in setting up a centre of excellence in Geo-informatics at LPU. Some of the many other research papers which got much appreciation were: ‘Diabetics Prediction by Using Feature Selection based on Coefficient of Variation- by Simon Fong, Justin Liang, Suash Deb; ‘Promoting Rural Education through Cloud Computing – An Analysis’; ‘A Survey on Human Activity and Gesture Recognition’; ‘Cross Fuzzy Model to Evaluate Education System in India: Teacher Student Perspective’; ‘Wisdom Web: An evaluation of web generation’ ; ‘Conveying Secret Messages through Album Art in MP3 Files’; ‘Diagnosis of Sleep Disorders using Fuzzy Inference ‘ etc. Illustrative, at the helm of affairs of the technical committee for the organization of International Conference on Computing Sciences, great scientists from the world are involved. This committee includes Dr Firdaus E Udwadia, USA; Prof Peter Smith, UK, Prof Jennifer Percival, Canada; Prof. K K Shukla, IIT-BHU, Varanasi; Dr Krishna,Vice-President, TCS, Chennai; Prof Suresh Kumar, Director - Research Coimbatore; Prof Carlo Morbito, Calabria; Prof Feng Feng, China and many other of important status. Whereas, INNS was established by the leading scientists of the world in the neural network field near thirty years ago. The field of neural networks encourages interdisciplinary perspectives, and INNS' membership reflects this diversity. Members represent a variety of fields, backgrounds and level of interest. Now, this new chapter will also enhance learning about breakthroughs in the understanding of artificial and biological neural networks. Discover techniques for the application of neuro-computing techniques to the area of expertise, and let its followers stay on the cutting edge of developments in this dynamic field.